As the day of love approaches, we look to show our love by adding a personal touch to gifts and surprises. While we gift flowers and soft toys, there’s nothing more personal than cooking for love your loved one. After all the way to a man’s heart is through his stomach! With recipes by popular Chef Ranveer Brar, along with Kellogg’s and Chef Ali El Bourji of Ayamna, Atlantis, make your valentine’s day a romantic rose-infused one! Begin with adding the cornflake powder to the milk over a hot flame, allowing the mixture to cook for 7-8 minutes. While stirring the mixture, allow it to simmer till thick. Follow this by adding the condensed milk and taking the mixture off the flame. 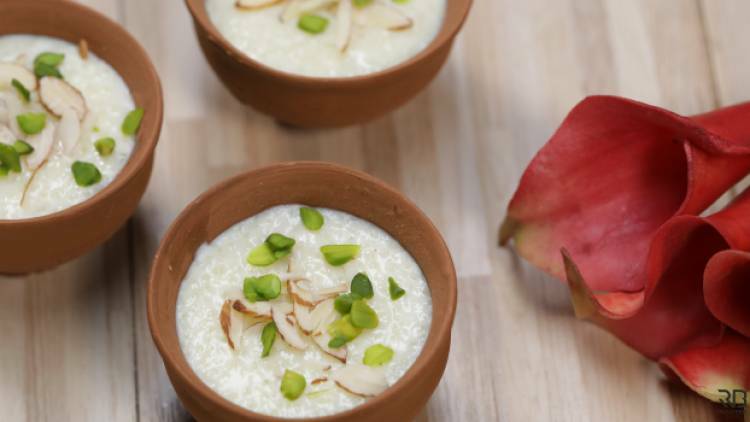 Keep the phirni aside to cool down and set. This is then placed in the refrigerator to chill. It is then ready to be served with a garnish of almond silvers and fresh rose petals. How to make: In a heavy bottom saucepan, bring the milk and sugar to a boil. Once it comes to a boil add the rose water and corn flour. Stir the mixture until it thickens. Once it thickens pour it in a Martini glass. Garnish it with roasted & chopped pistachio flakes, almond flakes and dried rose petals.